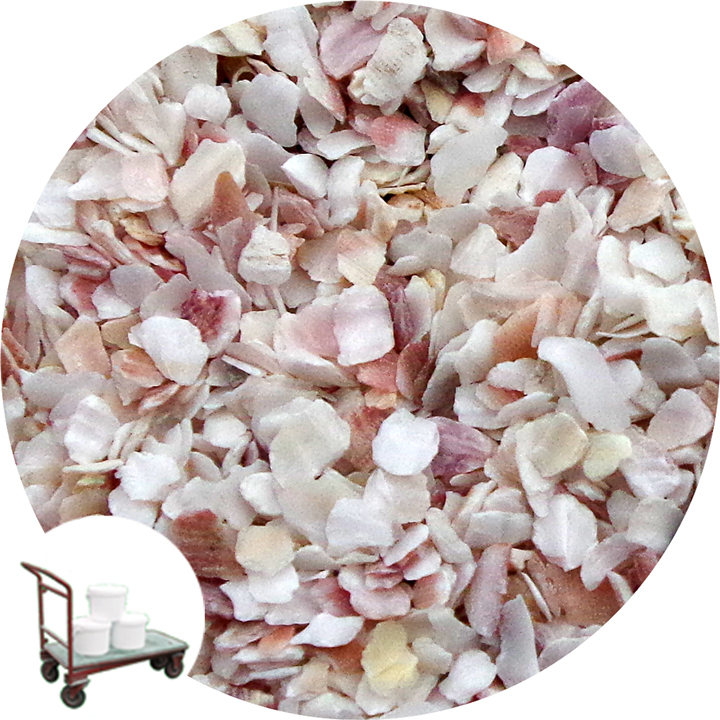 Eco-Carb is a sustainable source of Calcium Carbonate based on sea shells. 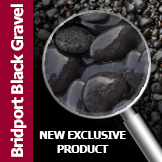 The product finds application in exposed concrete and terrazzo flooring and as a loose lay decorative aggregate. Eco-Carb is a unique and sustainable source of calcium carbonate based on sea shells. Unlike limestone which forms a blocky angular aggregate, eco-carb has been specifically processed, dried and graded to impart a characteristic flakey particle shape. 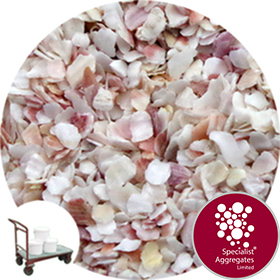 Applications include use as an aggregate in terrazzo flooring and work-top surfaces, as well as a decorative loose lay material with beach themed decor. 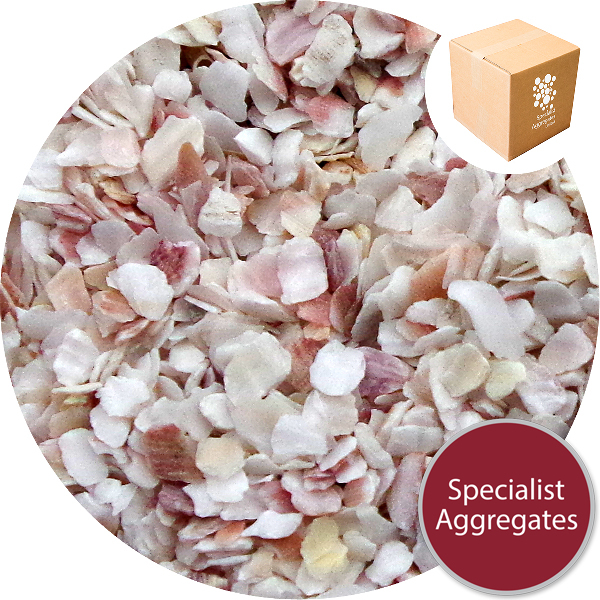 The product can also be used as a fine aquarium sub-strate - wash before use. Being a natural product colour variations may occur, please ask for samples if this is critical to your application. 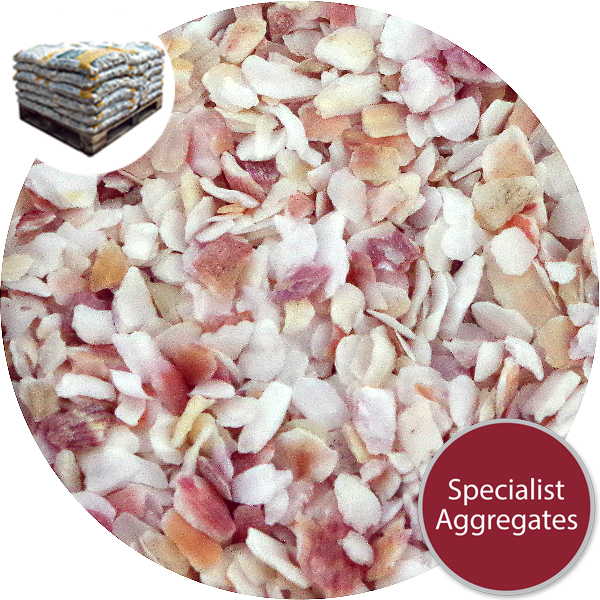 Design Specify: Eco-Carb coarse shell sand from Specialist Aggregates.